This incredulity is often due to a variety of objections: ”African’ implies something different today’; ‘they were Roman’; etc., etc. These concerns, then, are fairly easily addressed and alleviated: we have to define what ‘African’ meant in Roman times; Roman and African were not mutually exclusive identities; etc., etc. The second reaction then often comes from the same person, except the next response swings to the opposite posture: indifference, an acceptance of the thesis as too obvious and so inconsequential. I would contend, however, that the first reaction belies the second. If it is so obvious, then why the knee-jerk negative reaction to the thesis in the first place? It’s a good thesis, and David Wilhite will be in town next Tuesday Dec 4 to expound on it for us. The lecture has the same title as his book, Ancient African Christianity, and it will be Tuesday night at 7:30 in Biola’s Calvary Chapel. It’s free and open to the public, and it will be a wide-ranging introduction to this vast topic which more people ought to know more about. Drawing from several centuries of African Christianity, and stretching from the Roman province that included Carthage all the way over to Alexandria, the lecture will also introduce the key figures in ancient African Christianity, from the famous Augustine and the pretty-famous Tertullian to the less-known names like Perpetua, Felicity, and Minucius Felix. 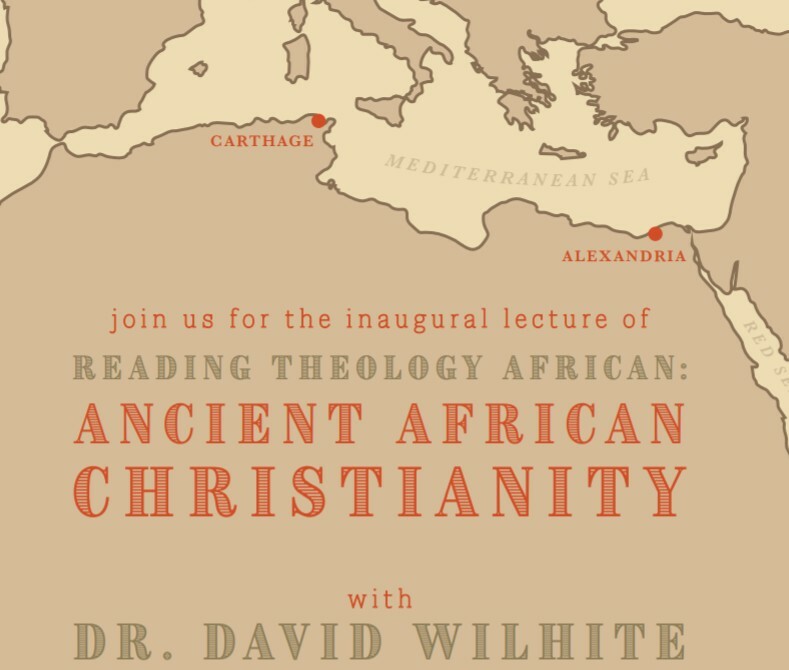 The Wilhite lecture also happens to be the inaugural public event in a three-year series called Reading Theology African. Co-hosted by the Torrey Honors Institute and Talbot School of Theology’s Master of Arts, Classical Theology, RTA will be investigating key texts and figures from our classical reading programs. The key idea behind this three-year initiative is that we are already reading African theology, but we’re not reading that theology African because we don’t know how to.